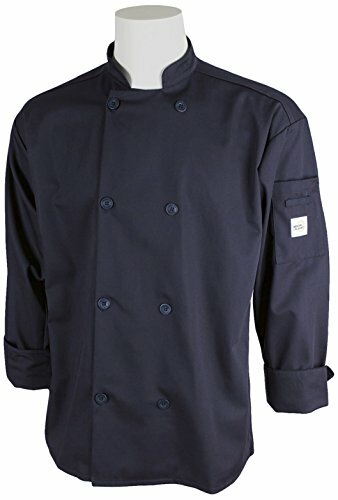 This product is a Millennia Unisex Cook Jacket in Black with Traditional Buttons. Working side-by-side with chefs for more than 3 decades and leveraging that knowledge, we bring you apparel that can only come from being behind the line. There is tremendous attention to detail in the design of every product, the fabrics chosen, and the construction of the garments.